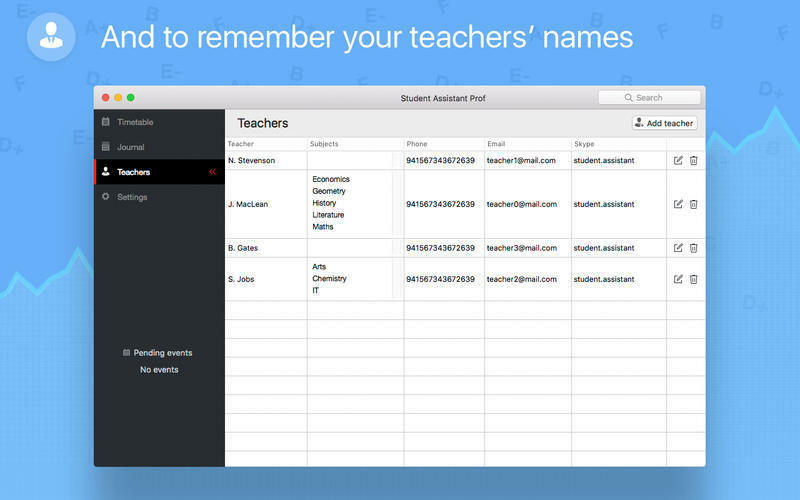 Is there a better alternative to Student Assistant? 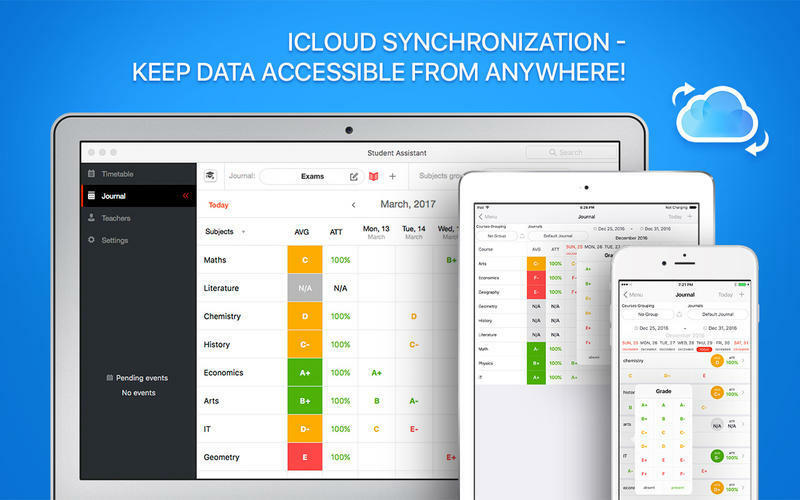 Is Student Assistant really the best app in Personal Info Managers category? Will Student Assistant work good on macOS 10.13.4? Student Assistant structured organizer and timetable. 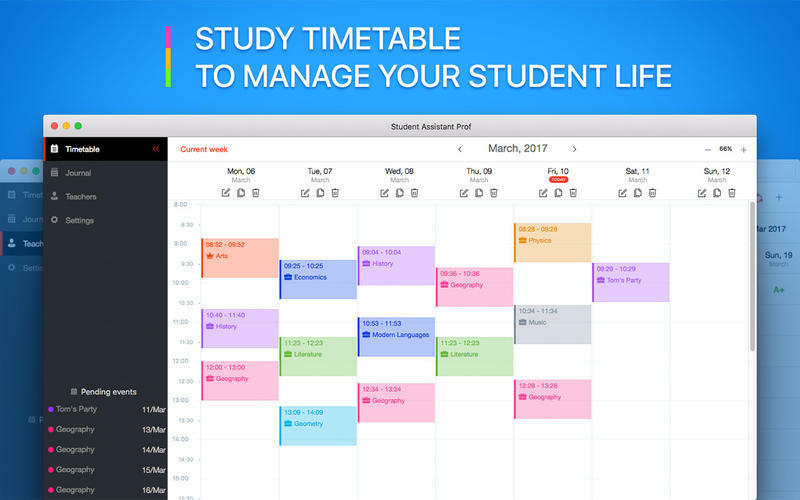 Ideal for managing your school or university life. 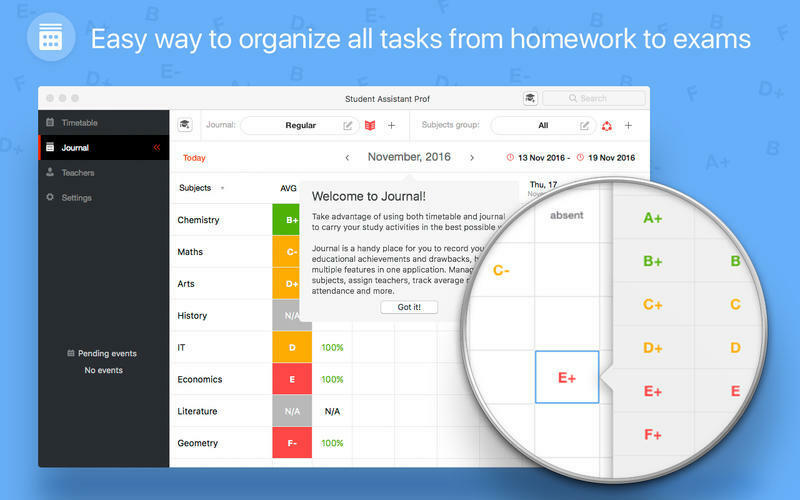 Efficient tool to save a schedule and to plan all tasks from homework to exams! When you create an event, you can make it repeat on certain days. Student Assistant needs a rating. Be the first to rate this app and get the discussion started! The average attendance and rating for each category.